Saudi-led Arab Coalition has targeted on Friday a congregation of Iran-backed Houthi militias and their allied forces belonging to toppled Yemeni President Ali Abdullah Saleh in Mokha port city west of Taiz province, killing 17 and wounding dozens others. Heavy clashes were also taking placed between Houthis and Saleh allied forces, and the Yemeni Army-backed Popular Resistance committees in the eastern, northern and western fronts in Taiz. 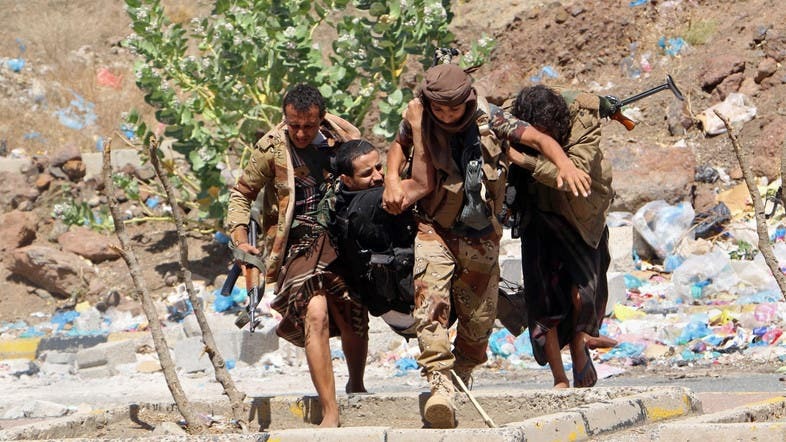 The clashes followed after a Houthi attack against the Popular Resistance committees and Yemeni Army sites in Tha’abat, Juhaimilya and Bazir’a neighborhoods east of Taiz. On Tuesday, Houthis fired a rocket in a residential neighborhood of Marib city, east of the capital, killing seven children. The fresh clashes and the Marib attack followed after Hadi government and Houthi negotiators took a break from peace talks after two months of UN-backed negotiations that have made little progress. The talks are due to resume on July 15 in Kuwait. The conflict in Yemen has killed more than 6,400 people dead and wounded 30,000 since the Saudi-led coalition intervened in March 2015. Saudi Arabia aims to restore exiled Hadi to power and assert government control over large parts of the country that had been taken over by the Houthis in 2014.